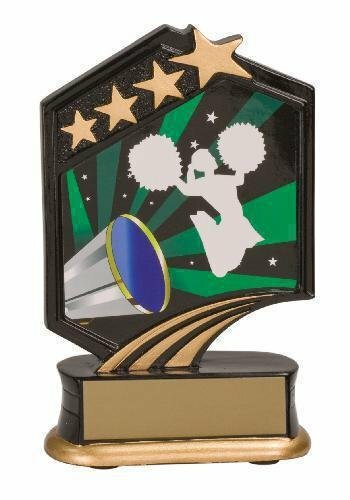 This stunning medal design features a cheer scene encircled by a frame of 10 shooting stars. The ring at the top allows it to be easily attached to the ribbon of your choice, and it can be personalized on the back for your event. 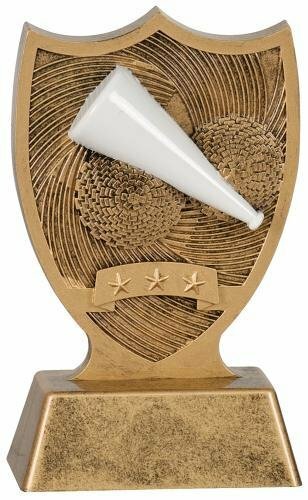 This is a budget friendly award for excellence in cheer that will surely be cherished by the recipient. 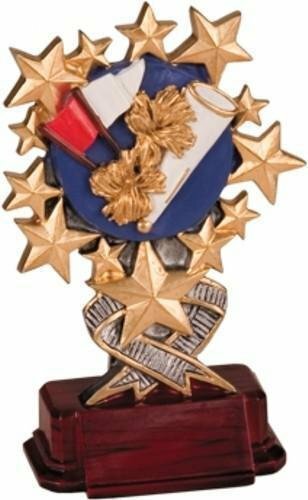 The medals are available in antique gold, antique silver and antique bronze. 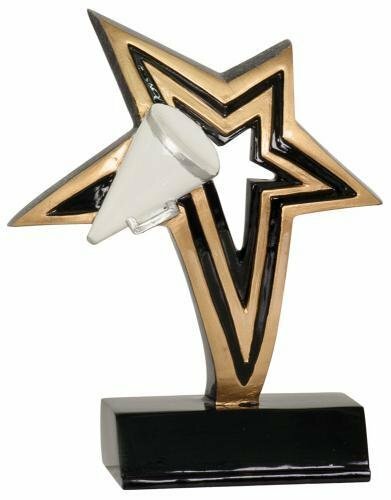 A full color megaphone and pom-poms soar on 3 shootinig stars on this fun Tri Star Resin. 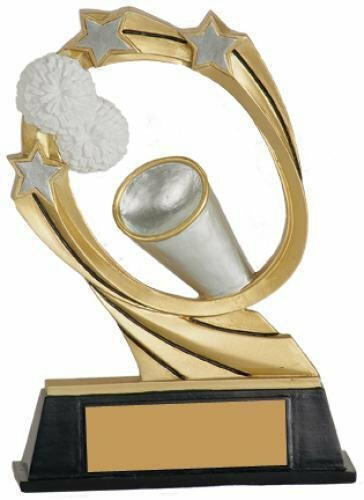 Personalized for your event this trophy is the perfect budget friendly recognition of excellence in cheer. 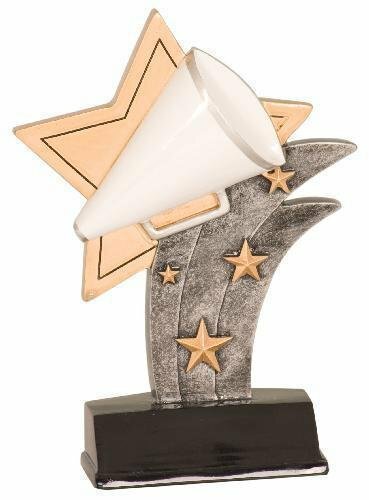 If you're looking for a unique award or souvenir at an amazing, budget friendly price point, kids will love collecting and wearing these black and yellow silicone wrist bands. Available in a variety of miscellaneous bands with eye-catching graphics, you should be able to find exactly what you need.